According to Sony Interactive Entertainment, the MediEvil Remake for PS4 is still releasing this year, yet we haven't seen or heard anything from the game since Halloween last year. Further, there's still no word of when the game will release other than "2019." But here we are, almost in the fourth month of 2019 and there's still not even a slither of news about the game. That said, while Sony has been quiet about the game, a new merchandising company may have just spilled the beans on the game's release date. Recently, Forbidden Planet revealed some officially licensed MediEvil products for the upcoming remake. There's a mug, some coasters, a t-shirt, etc., but what's interesting is that the merchandise is releasing on June 2. Now, I'm not merchandising expert, but it would be odd to release said merchandise before the game which you're licensing releases, right? Or at the very least, you're going to want to release the merchandise around the game's launch. That's just proper marketing. So, does this mean that the MediEvil Remake will release on June 2 or at least sometime in June? It's possible, well the latter is at least. So, June 2 is a Sunday, which means there's absolutely zero chance the game is releasing on June 2. Games don't release on Sunday, especially notably ones. Never happens, probably never will. But, it's certainly possible the game will be releasing around this time, perhaps on May 31, which is a Friday, or sometime later in June. That said, the fact that we are already almost in April, and haven't heard about the game -- let alone a release date -- seems to suggest June is too soon. I personally wouldn't be surprised if the game is held for the week of Halloween. Unfortunately, at the moment, all we can do is speculate. 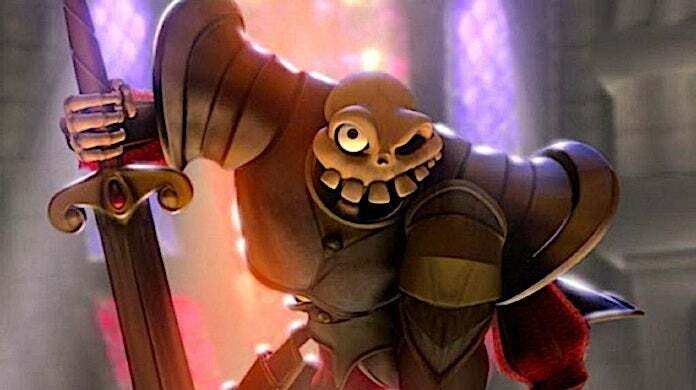 MediEvil Remake is in development for PS4 and is expected to release sometime this year.